The United States of America, the multicultural country and the opportunities par excellence, allow foreign investors to buy property owned in any corner of their territory. According to many, buying a home in California and the US in general is one of the best investments ever. The United States of America is a safe haven, the economy is among the most solid in the world and its legal system protects private property. Mortgage interest rates are at an all-time low (even for foreigners) and rental yields are very attractive (8-10% net). It is important to know that the purchase of a property on American soil does not involve obtaining the permanent residence permit, or the Green Card. That is another process, certainly much more complicated. 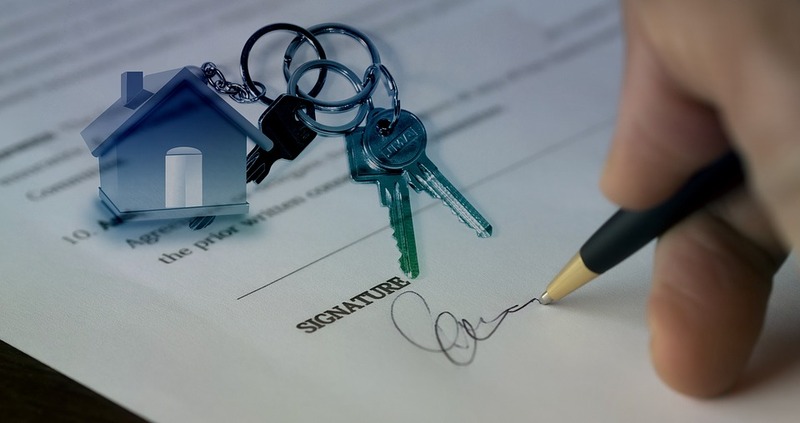 Buying a home in California is not difficult at all, but it is important to follow the various steps carefully to avoid complications or nasty surprises. Step one: check your budget, taking into account that being non-resident foreigners, there will be few banks available to grant you a mortgage, and the few, after checking your credit score – if you have one, will give you a maximum of one 50-60% of the total amount, with interest rates slightly higher than resident citizens. In case you take a part in a loan, it is essential to have an approval letter from the bank, the so-called pre-approved, with the exact amount that the bank will put at your disposal and the maximum percentage of disbursement, duration and rate interest. Whether you pay anything in cash, or pay only a part (40-50% – down payment), you will have to prove that you have sufficient funds available. Step two: find a Realtor (a real estate agent), who can assist you in the search and maybe you speak your language. Through the MLS (Multiple Listing Service), your realtor can offer you all the properties on the market that are close to your needs; prepare the CMA (Comparative Market Analysis), or compare the real sales prices of similar properties in a given area and in a given period of time; organize a tour to see the properties closest to your preferences. Good news for those who buy: in California, as in all the States, the buyer (the buyer), does not pay any commission to the real estate agent, but this is paid only by the seller (the seller). Most likely the realtor will ask you to sign an exclusive agreement to be the only agent to assist you in this important operation. Step three: concentrate on the preferred area, considering the safety levels and the presence of schools. Security and schools should be the basis of your choice, whether it is buying for what could then become your main residence, and in the case, much more likely, second home and / or investment. It is essential to know that every area of the city corresponds to a specific school district. Therefore you should take great care in identifying areas with the best schools, whether you are moving with children, or that you decide to put it into income by locating it. Surely you can rent it at a higher price by having a good school nearby. Step four: make a proposal once you have identified your ideal home. Through the realtor you will compile the California Residential Purchase Agreement and joint escrow Instructions, or a purchase proposal with the instructions of the escrow (the latter will be better seen in step five), where you indicate the sum offered or the purchase price; the deposit allowance called initial deposit or earnest money deposit that normally in California is 3% of the offered price; and a possible increased deposit, that is a further down payment. You will then indicate the exact amount of the cash you will pay, and of any loan or loan, called a loan, specifying the type, the amount that the bank or a third institution will give you, the interest rate and the term. A topical subject of the proposal are the contingencies, the conditions that could make the proposal invalid when they occur (we will see them in step five). Indicate the date by which you can inspect the property, palm to palm, Home Inspection, to ensure that there are no defects, repairs, etc. And finally, the closing date, that is the closing of the escrow. It is important to attach to the proposal, the pre approved letter we saw in step one, and a letter of introduction to the seller where you will explain the reasons that led you to make this proposal. To many of you it will seem strange, but I assure you that in cases of more ‘offers, as often happens in the current market, a good letter, sincere and friendly, where you talk about your motivations and maybe your dreams, can’ really help to convince the seller to accept your offer. Step five: the escrow. In America, the title companies carry out the escrow process. They are in a sense like our Notary. They represent a neutral third party between seller and buyer, keeping the deposits made by the buyer in favor of the seller until closing, verifying the title, checking that all agreements established in the purchase proposal are respected by the parties, and transferring the property from seller to the buyer. The escrow process begins immediately after the seller has accepted the buyer’s proposal and normally lasts 20 to 40 days. During this period the contingencies will be verified, such as the Home Inspection that is made a few days after the acceptance of the seller and in which the buyer reserves the right to withdraw from the agreement, without losing the deposit; and Appraisal (only if you take the mortgage), or the expertise of the bank that will give ‘its assessment on the property and that could lead to renegotiate the sale price. Once the conditions that could lead to radical changes to the proposal have been overcome, the Title Company will verify that the ownership title has no lien, that is, that it does not have prejudicial mortgages or transcriptions that could prevent its sale, and will control that there are no debts or arrears by the seller with taxes and any condominium. At closing, the Title Company, will deliver to the seller the amount of the sale price, which the buyer will have in the meantime deposited both in cash and through a possible mortgage, withholding the costs and fees for the sale, the costs of the agency real estate (which is usually 6%), and any residual loan. Sometimes it happens that the parties, seller and buyer, physically never meet. It is possible to appoint an attorney for the purchase, through the Power of Attorney, and therefore not be present at the close of the escrow. Once the escrow is finished, your realtor will finally give you the keys to your new home. And the dream finally becomes reality! Step seven: maintenance costs and taxes. If you buy an apartment in a condominium, there will be to be paid the Condo fees and HOA fees (Home Owner Association), which may include the maintenance of common areas, any pool and club house, heating, water, supervision, etc. For property taxes, you will pay the Property tax that in California is around 1% per year, payable in two installments in December-February, and any Mello-Roos taxes, a special local tax in case community decides to finance new expenses for schools, roads, parks, recreation areas, etc. In case you rent the property, keeping the residence outside of California, you will pay around 30% of the income from the lease. Finally, if tomorrow you decide to sell your Californian property and you will always be non-residents, you will have to pay the FIRPTA (Foreign Investment Real Property Tax Act), and 10% will be deducted from the sale price.